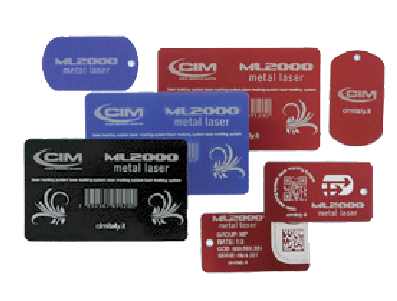 The ML2000 is designed for efficient marking on steel tags, aluminum tags, anodized aluminum tags and more. The fiber based optical design and rugged mechanical design allows the ML2000 to operate in harsh industrial environments with maximum uptime. The compact footprint of the ML2000 makes it easy to integrate into a variety of industrial applications. The energy efficient integrated air-cooling and proven laser design insures low maintenance and ongoing service costs. The ML2000 is a fully AUTOMATIC system and is equipped with an adjustable tag input hopper which holds up to 250 blank tags. 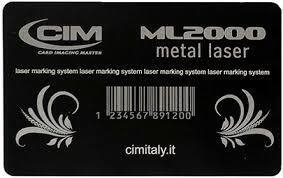 The blank tags are automatically moved from the hopper area to the laser marking module. Once laser marking is completed, the tags are placed in an internal FIFO stacker or unloaded using the side eject option. 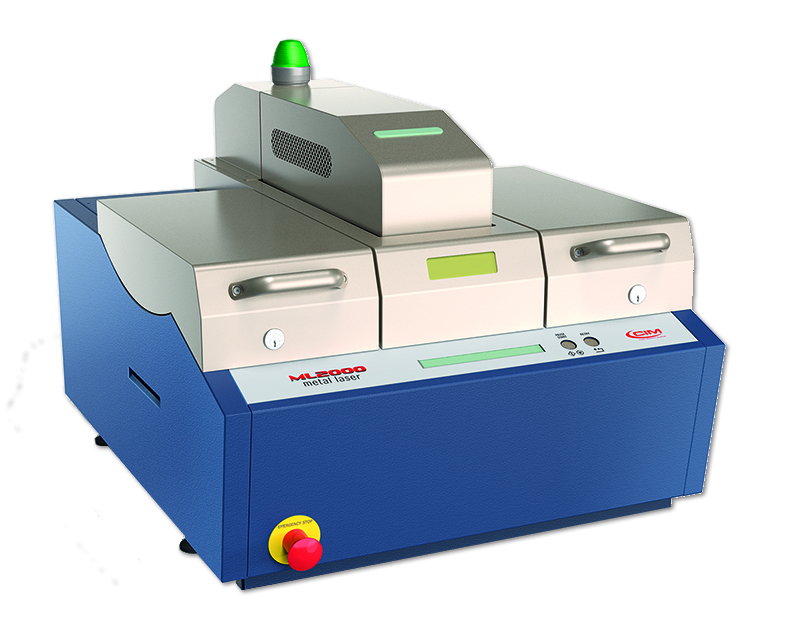 ML2000 Laser Marking Systems are commonly used for part identification and product traceability information such as serial numbers, date codes, 2D data matrix barcodes, QR codes, 1D barcodes, manufacturing codes, material flow, graphics and logos.